With last minute celebrating, packing, and goodbyes in order it's not long now before the Tuesday morning that I drive away. I'll write a more detailed post about all this soon, but for now, here are a couple of the videos I made in regards to my current location. 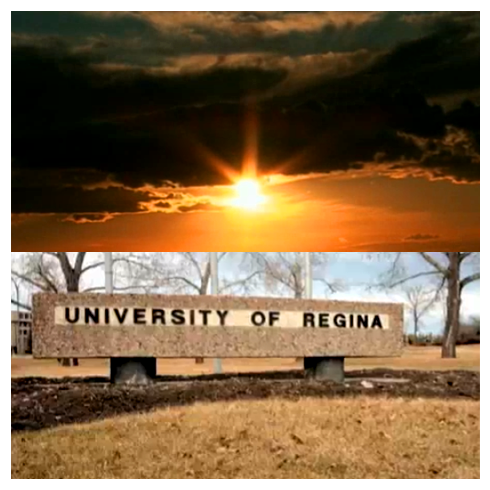 The first is a photo collage of the entire university that I made for a couple friends when they were leaving in 2006, and the second video is a couple of time lapses of sunsets from my room here in residence. While I'm excited to be moving on and at the moment can't imagine wanting to come back to school, the nostalgia I have makes all this seem fairly profound. In some ways I want it to mean more than it really does. Things won't ever be this way again. Nice sunset timelapse. What kind of solar filter did you use? no filters, it was just a recording from my basic camcorder. turned out quite well considering. Hi Luke -- I enjoyed both your films. The University one seems like it took a long time to put together with all the images. So did you graduate or for now you just left and will be back in the fall?